Located in the Snowy Mountains, around 500kms southwest of Sydney in New South Wales, Thredbo is a popular ski resort for residents of both New South Wales and Victoria states. Being approximately equal in distance from Sydney and Melbourne, the resort attracts a constant supply of tourists all year round. The primary industry in the village is tourism, something that is highlighted by the fact that there are less than 500 permanent residents, but the accommodation facilities here cater to in excess of 4,000 people. This tourist hot spot boasts excellent ski conditions in the winter months and perfect conditions for hiking and mountain biking during summer. Many Australian ski enthusiasts opt for a Thredbo tour as the resort has the longest ski runs in the country. It also has the country’s steepest overall terrain and the highest lift point. In total, there are 14 lifts and more than 50 runs, with beginner, intermediate and advanced skiers all catered to. There are a number of terrain parks to enjoy while on a tour in Thredbo. Youngsters can take their first ride on skis in Wombat World; beginners and intermediates can practice their skills in Merrits Park; and advanced skiers and boarders who enjoy jumps and tricks can take advantage of Anton’s Park and High Noon Park. 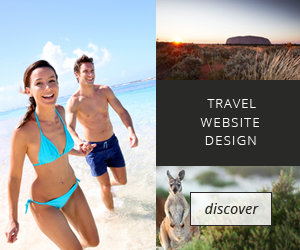 Thredbo tours are not all about skiing and snowboarding, however. There is a leisure centre in town that offers a number of indoor sporting facilities, including a traverse climbing wall. Furthermore, the resort is popular with mountain biking enthusiasts and hosts the Cannonball Run downhill track race on a yearly basis. Situated beside the Thredbo River at an altitude of 1370m, Thredbo is the closest resort to Mount Kosciuszko, Australia’s highest mountain. Thredbo Village is open all year with plenty of adventure activities during summer and winter. With its chalets, narrow winding streets and mountain vistas, the village feels like a true alpine retreat, unique in the Australian Alps. The Kosciuszko Express Chairlift operates all year round and the top station boasts Australia’s highest restaurant, Eagles Nest. Slide down the Thredbo Bobsled, a 700m luge-style track. Village facilities include fashion shopping, gift stores, great cafes and restaurants serving modern Australian cuisine. There are tennis courts, mountain biking, golf, horse riding and hiking on offer. One of the best walks is the 13km return hike to the top of Mount Kosciuszko – for the less adventurous, the trip by ski lift to the top is a perfect start to the day.